Recess by Henri Gillet from Perkins Bacon Plates 1854 (April): 5 c. Dark Chocolate Brown, wmk. pos. 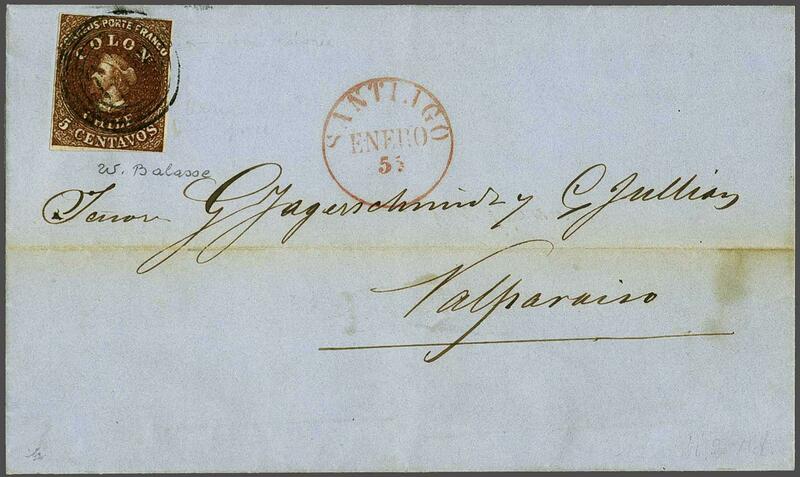 4, a fine used example of slightly blurred impression, margins close to ample all round, in an intense extremely deep shade and showing the Major Plate Crack (position 121) running through the 'C' of 'CORREOS' and both 'O's in COLON, used on 1855 cover from Santiago to Valparaiso tied by target handstamp in black with SANTIAGO despatch cds (Jan) alongside in red (internally docketed January 5). 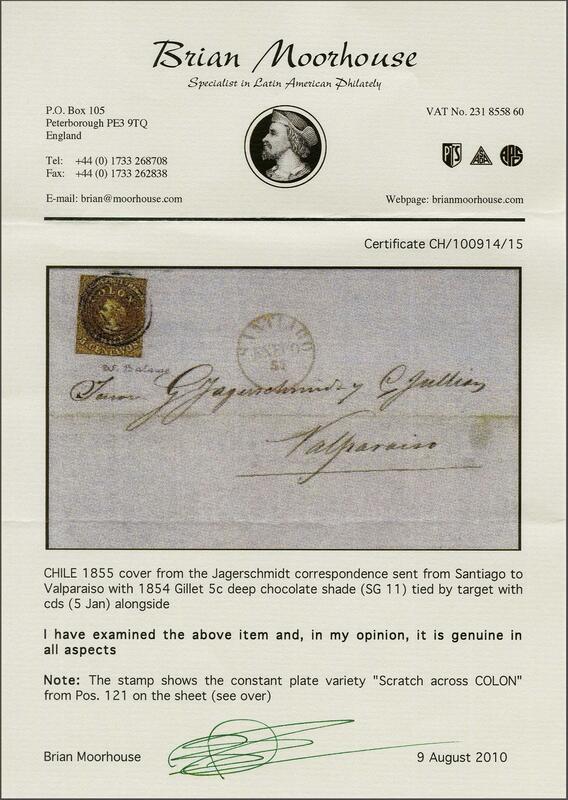 An excessively rare stamp, especially so with the Plate Crack, on a fine and most attractive cover. An exhibition item of the highest calibre. Signed Balasse. Cert. Moorhouse (2010).